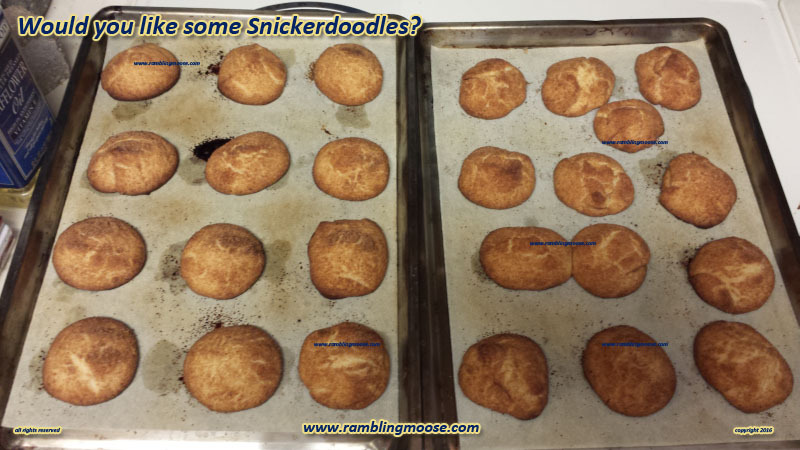 Rambling Moose: How to Ruin a Decent Cookie - Just Wait! 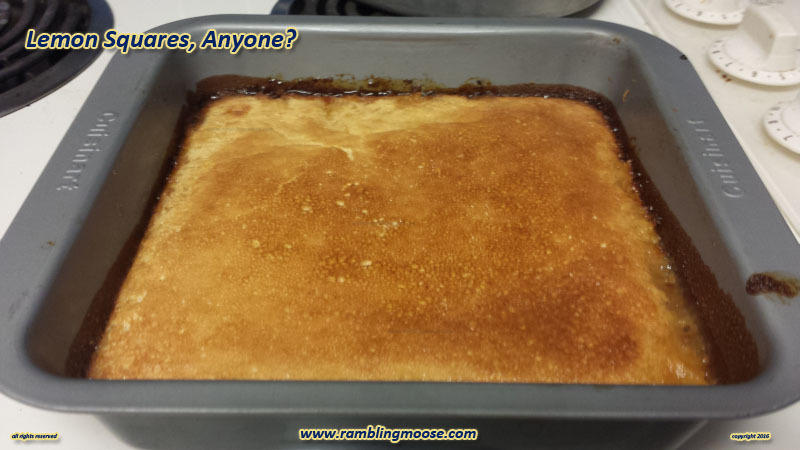 I am sure that I am not the only person who ruined a "Bulletproof" baking mix this way. I am also sure that I do it from a slightly different angle than most since I have a long list of "quick and dirty" baking treats that I make on a whim. But there are only so many treats you can have around the house. You see, while I am baking scratch mixes, blending chocolate with fruit or nuts to make candy bars, or even going so far as to make pretzels, I forgot. I forgot that I have a shelf. 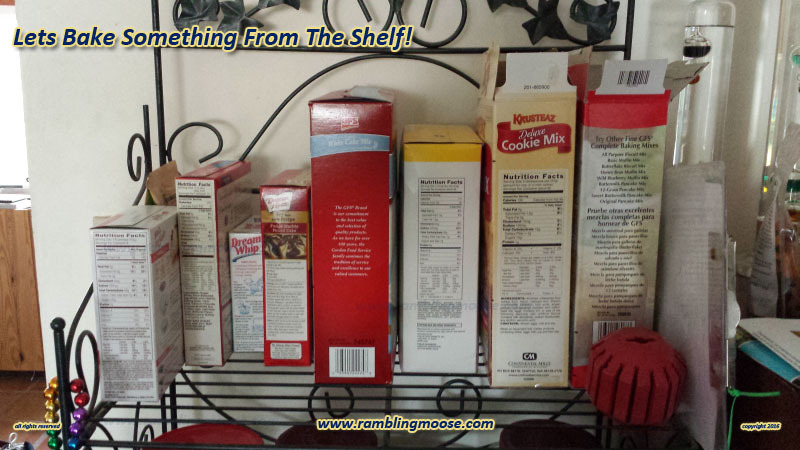 We all have that shelf. 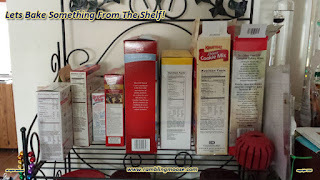 If you bake at all, you have a collection of boxed mixes. You picked that mix up from the supermarket and thought Hmmm, That's Tasty! You drop that mix into the cart and then wander off paying for it on your way out. I even have a habit of quickly scanning the bins at the back of the market where there are mixes that are close to their expiration date. You know the ones. They're being discontinued or they weren't all that popular. They've got the badge of shame on them. Big red sticker saying "Discount! Half Off" or less. Yeah, those. I'm that guy. I really do prefer home made cookies to what you can get at the mall or the store. My chocolate chip cookies are asked for when I am invited to parties because how can you compete with freshly churned butter, toasted nuts, and scratch ingredients? But that also means that I have to watch what I have on hand. That Shelf is in clear view. In fact when you step over the threshold into my house it is in clear view of the front door on top of a bread rack. It's a Logical Place. That also means it is doomed. Those "special" mixes are waiting for a "special" occasion. When I went looking for something the other day, I believe it was the crock pot but it easily could have been treats for the dog or some tea for Iced Tea, I spotted them. Then I noticed that there was actually dust on top of the box. DUST! On top of a mix of Lemon Squares! I checked the expiration date and found it expired four years ago. April 2012. Going through that stack, I found that there were five other mixes that were more than just a few weeks over their Best By date. That Lemon Square mix was a simple one, add egg and water. It smelled funny. Tasted worse. I took one bite and out it went. 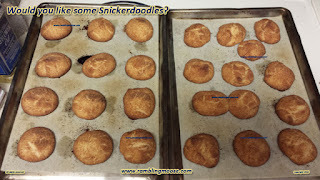 Next the Snickerdoodles. They were January 2013. Open the package and the mix smelled reasonably wholesome. Of course there was that problem of how do you know how long to cook something that looks "done" when they go into the oven and come out soft? I didn't. They ended up crunchy. They're supposed to be soft. Still tasted "ok" and nobody got sick. I followed that up with some Whoopie Pies. When I opened up the mix my eyes watered. Right into the bin! So at this point the oldest mix is from June 2015, a full 11 months overdue. It will get used before the end of this month. I'm just going to have to stop "Baking for the Blog"! Boxed Baking Mixes. Ugh. So ... blah! Where's the challenge in that? I'll tell you, the challenge is to use the stuff up before it goes funny and I had a whole shelf of mixes just laughing at me! This week, we're going to enjoy a cake. It's a "Holiday" cake. Peppermint and Chocolate, great for your holiday celebrations! It was just within the "safe" zone. I'm sure I will enjoy it. But those mixes? I have to be more careful since I do enjoy them, I really do. I'm just a bit absent minded!